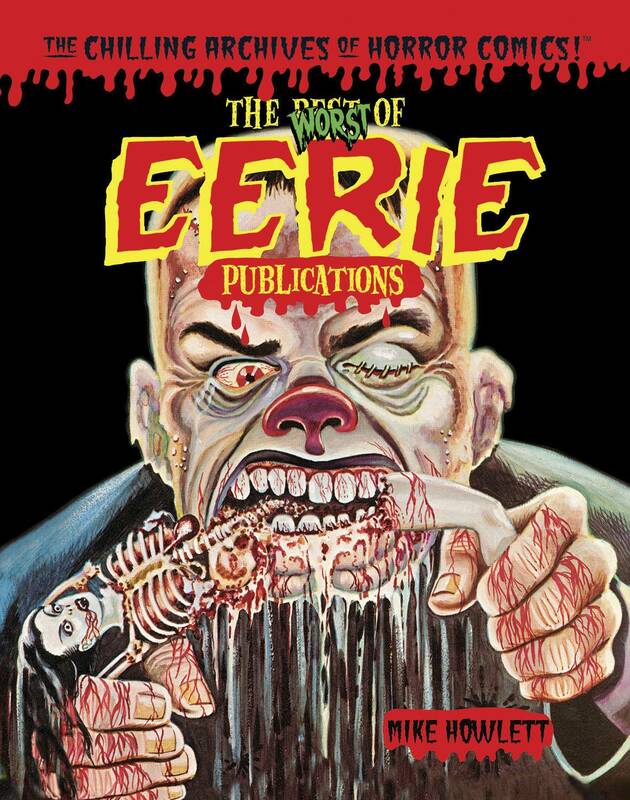 HOLIDAY HOT PICKS #6: A Yoe Books/IDW Grosstravaganza! Home » HOT PICKS! 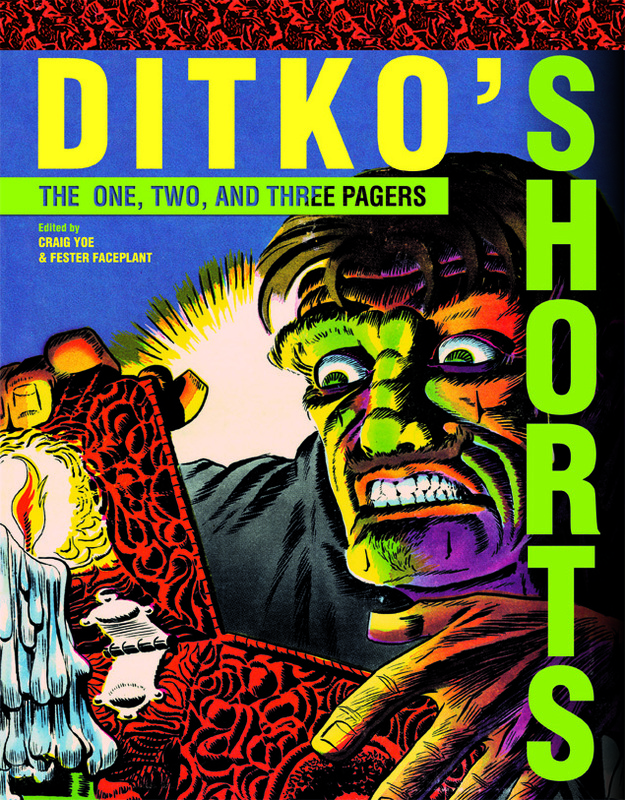 » HOLIDAY HOT PICKS #6: A Yoe Books/IDW Grosstravaganza! Welcome to the Holiday Hot Picks reviews/listings. We’ll be trotting these out from now until Christmas Eve. For a FULL INDEX, which will grow throughout the next several weeks, CLICK HERE! If you want a totally horrifying holiday — and I’m not talking about Aunt Tillie’s fruit cake (badum-bum) — you HAVE to check out the latest comics history excretions from that viceroy of the vile, Craig Yoe, and that grandmistress of gross, Clizia Gussoni, plus their coterie of creepy cretins. 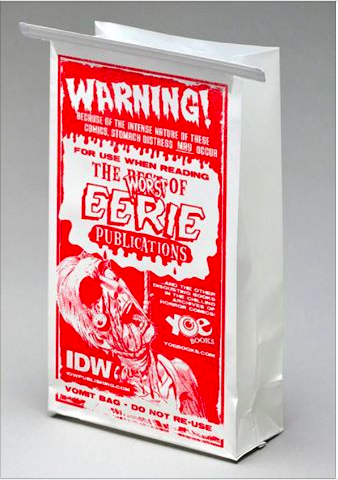 This volume, written and edited by Mike Howlett, features an intro by Craig and is so gleefully lowbrow that it comes with the aforementioned “stomach distress bag.” These are not only the truly disgusting horror comics mama warned you about, these are the ones she carted off to the Sunday Potluck and Book Burning. So show her some appreciation and give this to her, wrapped in a soiled brown paper bag with no return address. 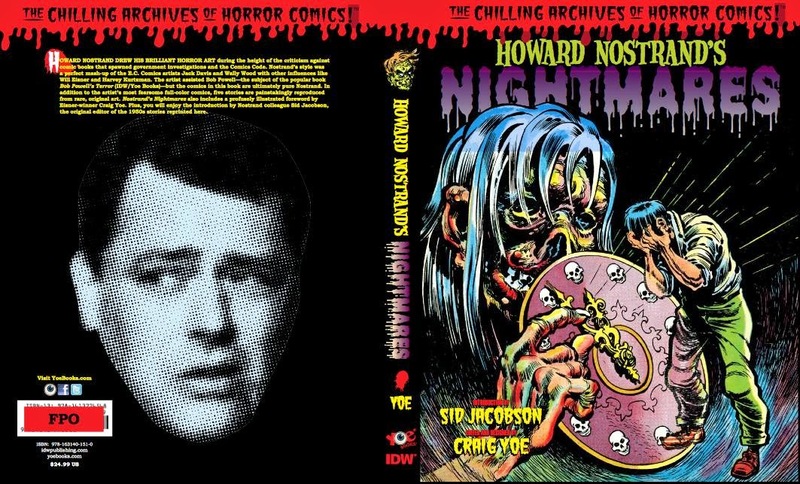 Craig starts off his intro of this skin-crawling collection like so: “If Jack Davis and Wally Wood fell in love and had a baby, the bouncing offspring of those two revered cartoonists would be Howard Nostrand.” Couldn’t have said it better myself. It’s another stomach-churning compilation for the comics-reading masochist in us all. Hell, the first story is THE MAN GERM from a 1953 issue of Chamber of Chills Magazine. If there’s any room left in it, you might wanna re-use that barf bag! This hilariously titled book — which I gotta tell you sounds like a description of the notorious shut-in’s daily wardrobe — is also out. But more on that soon!